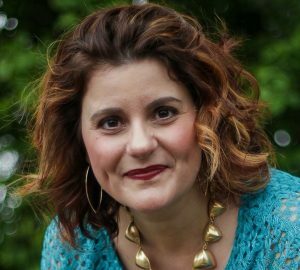 [Knoxville, TN] — [May 6, 2017] – Knoxville social media, speaking, and communication expert, Felicia Slattery, has been listed in the number seven position on a list of top 50 social media influencers published by Joel Comm, New York Times best-selling author of “Twitter Power” and social media expert. Slattery, who is the author of two best-selling books, “Kill the Elevator Speech: Stop Selling, Start Connecting,” and “21 Ways to Make Money Speaking,” has been listed as a top local, national, and international social media influencer multiple times since becoming active on various social media platforms beginning in 2007 including Twitter, Facebook, LinkedIn, Instagram, Pinterest, Quora, Snapchat and others. More information about Felicia Slattery, who trains and presents to clients and organizations globally about social media, relationships, leadership, speaking and effective communication, can be found on her website and blog at www.FeliciaSlattery.com. She can be reached at 865-313-2627. Felicia J. Slattery, M.A., M.Ad.Ed., is on a mission to motivate, inspire and train subject matter experts, entrepreneurs, C-suite executives and celebrities to create meaningful connections through effective communication and public speaking. The #1 Amazon best-selling author of “Kill the Elevator Speech,” and “21 Ways to Make Money Speaking” is also the creator of the Signature Speech™ system and co-creator of Signature Speech™ & Webinar Wizard as well as an internationally-acclaimed, award-winning speaker. Felicia presents to audiences large and small on topics related to communication, speaking, and being a successful entrepreneur in spite of everything life can throw at you. As a cancer survivor, Felicia’s enthusiastic passion for communication is contagious because she knows that one important message delivered with power can transform a life.